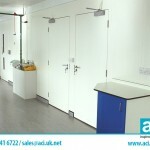 Our Monobloc partitions system is another in our range of products which is fast growing in popularity. 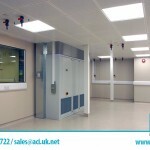 A modular, non-load bearing panel, Monobloc partitions fit snugly together without the need for sprung loaded cover plates. Using this construction method the length of the wall is just one smooth area. 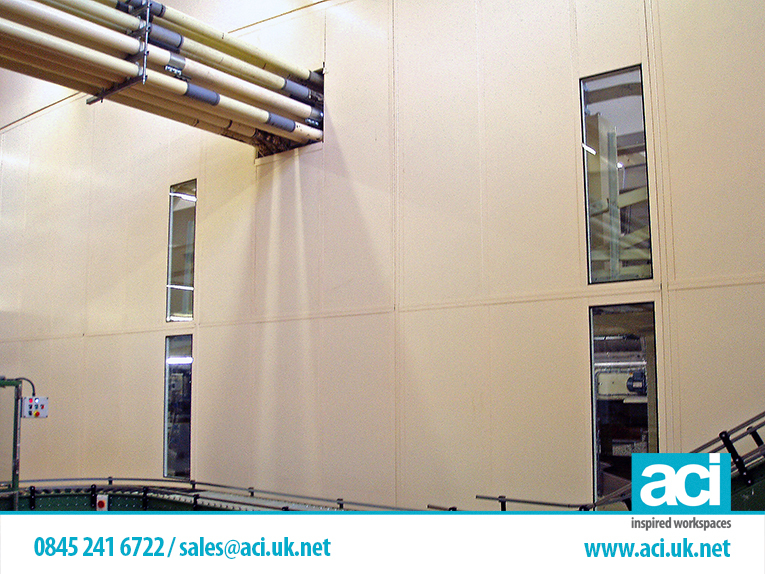 Monobloc partitions are produced using high density particle board (MDF) and a tubular core. Designed to be easily erected, and as simple to relocate when required, they allow a myriad of different options when re-configuring office space. 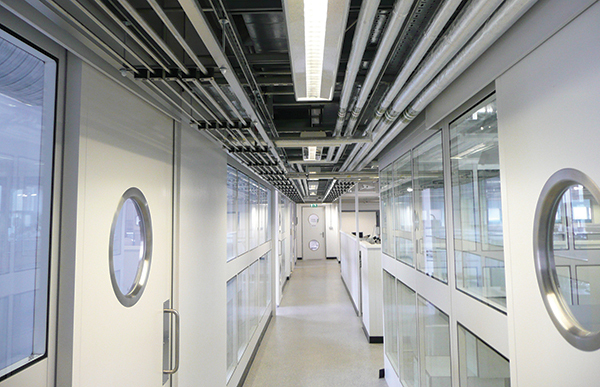 Partitions come complete with built in vertical service ducts to allow electrical cables and wiring to be hidden within the panels, and frames are of aluminium or hardwood, with each frame being able to support up to 250 kg fixings. 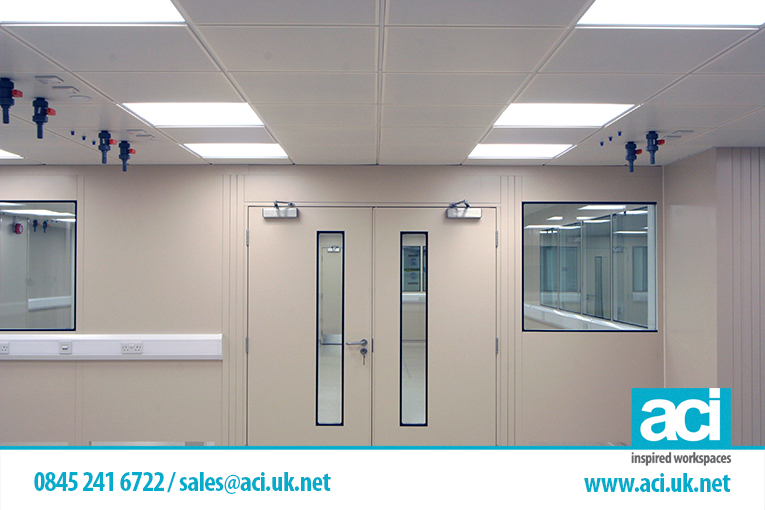 Monobloc partitions are available as solid panels, or as part-glazed panels, either in single or double glazed units. 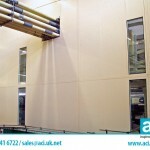 Sound insulation can be incorporated and they can be fire retarded from 30 to 60 minutes. 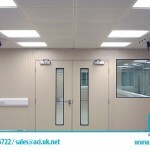 Panels are available in standard, laminated, fabric, or veneered options, and there is a comprehensive range of vinyl finishes available or, if required, partitions can be supplied plain. 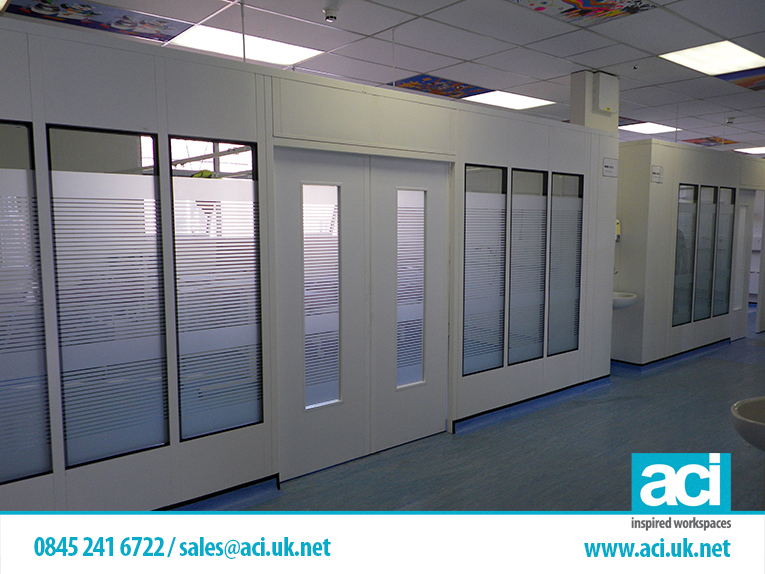 Doors for Monobloc partitions can be either aluminium or hardwood framed, and fitted with viewing panels. 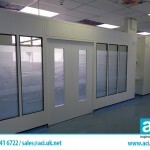 Viewing panels can be single or double glazed, and sit in a rubber gasket or timber frame. 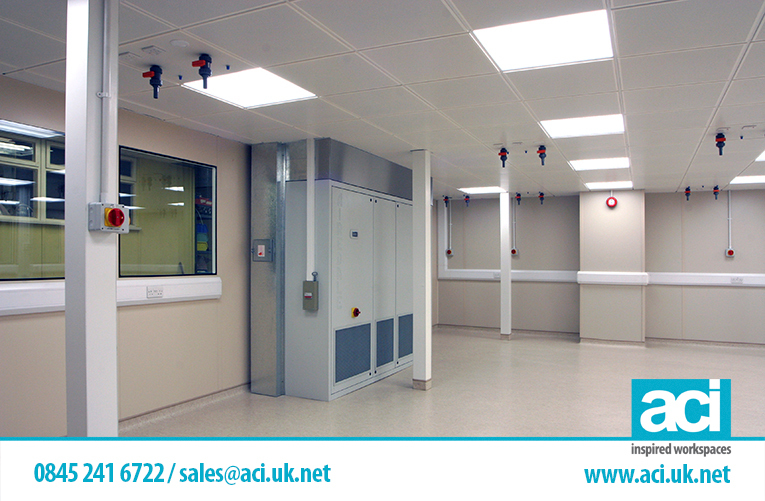 The ease of construction and aesthetically pleasing finish of these Monobloc partitions make them ideal for executive offices, commercial offices (especially with high client activity), laboratories and pharmaceutical production facilities. Although Monobloc partitions are produced in fixed sizes of width, height, and thickness, special sizes can be produced for clients seeking a bespoke system. Similarly, although they are not a load bearing partition, they can be stacked ceiling high if needed using transom aluminium jointing. As a national company we purchase our Monobloc partitions direct from the manufacturers allowing us to offer a high quality, value for money product, at the most comprehensive of prices. 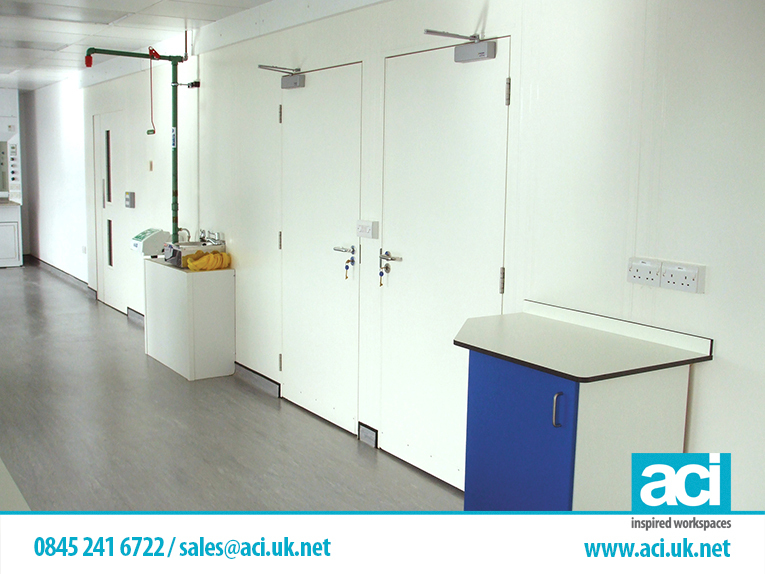 Phone Industrial Partition Systems today, and discuss your requirements with one of our Monobloc experts. 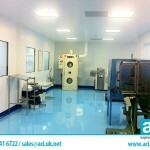 We offer a free design service, and fast efficient delivery and construction service to any area of the country. 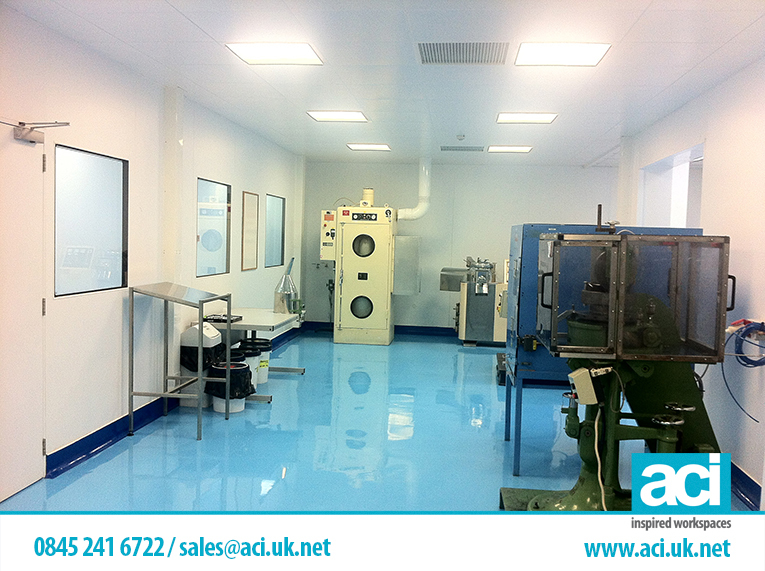 Looking to install a clean room that requires Monobloc partitions? Call us today on 0115 736 5986 for a free quote and we’ll be happy to talk you through the options.